Karl von Clausewitz's study On War was described by the American strategic thinker Bernard Brodie as 'not simply the greatest, but the only great book about war'. It is hard to disagree. Even though he wrote his only major work at a time when the range of firearms was fifty yards, much of what he had to say remains relevant today. 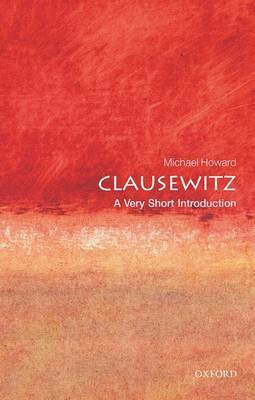 Michael Howard explains Clausewitz's ideas in terms both of his experiences as a professional soldier in the Napoleonic Wars, and of the intellectual background of his time. ABOUT THE SERIES: The Very Short Introductions series from Oxford University Press contains hundreds of titles in almost every subject area. These pocket-sized books are the perfect way to get ahead in a new subject quickly. Our expert authors combine facts, analysis, perspective, new ideas, and enthusiasm to make interesting and challenging topics highly readable.